New immigration regulations that came into effect in June 2014 have had a profound effect on where to apply for your spouse visa. Below we take you through the different scenarios and you are more then welcome to call us on any of the above numbers or email us here. Spouse visa applications are for those who are married to a South African Citizen or Permanent Residence holder for less than a 5 year period of time. If you have been married for more than 5 years please see here for more details on spousal permits. If you are not married but in a permanent relationship see here for details on life partner permits and visas. All applications must be made in your home country. You may not enter South Africa and apply for your spouse visa here. It may well be the case that you already have a spouse visa (or permit as it used to be called prior to the new immigration regulations). In the event that visa / permit is coming to the end of its expiry date you will need to submit an application to ‘renew’ at least 60 days prior to this expiry date. These applications can be made in South Africa. If you have been married for 5 years you may now make an application for permanent residence which (when granted) negates the need to keep renewing your temporary spouse visa. If you are applying for permanent residency, or already have and are awaiting the outcome, you will still need to apply 60 days prior to your temporary spouse visa expiring for a renewal. It may be that you entered South Africa on a different type of visa or permit, such as work, and then met your South African partner and got married. As a married person you may now apply for a change of visa to a spouse visa. It may also be that you are an existing spouse visa holder, wishing to extend your stay beyond the current validity period if your existing spouse visa. 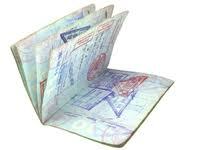 In both these cases you may apply for your spouse visa in South Africa.